The new ad campaign for Travelodge Canada emphasized the brands commitment to personalized and friendly service. 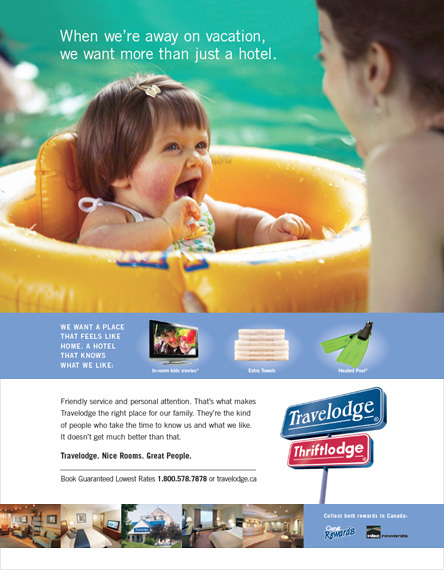 We focused on building customer loyalty through testimonial ads that illustrated the personal touch that Travelodge brings to your stay. 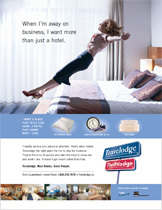 Travelodge is the brand that takes the time to know who you are and what you need for a comfortable and rewarding stay. 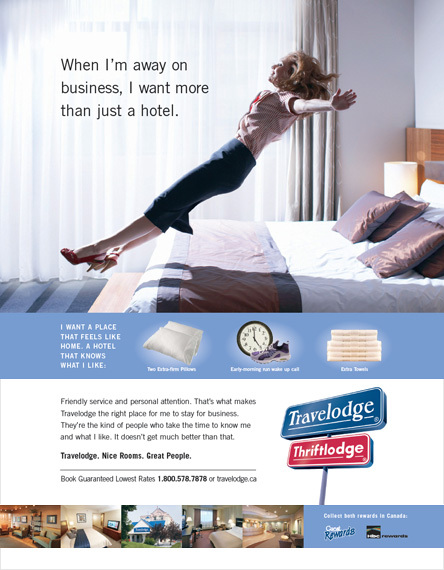 We were asked to develop a solution to reduce the amount of in-room clutter caused by a number of Travelodge brand information pieces. 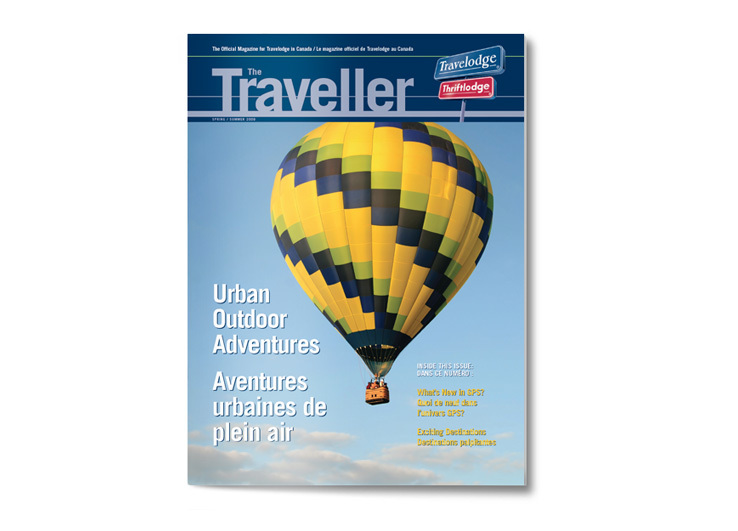 We developed a magazine that could contain this info while offering guests topical travel and public interest articles to keep them entertained and informed in one handy package. 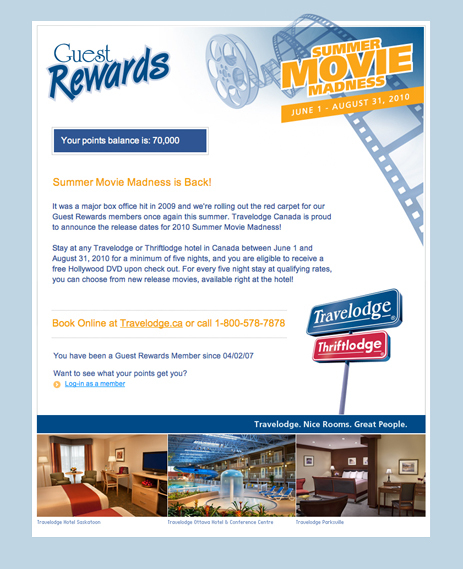 This seasonal promotion offered each guest an opportunity to win $25,000 instantly with a Travelodge branded scratch and win card. 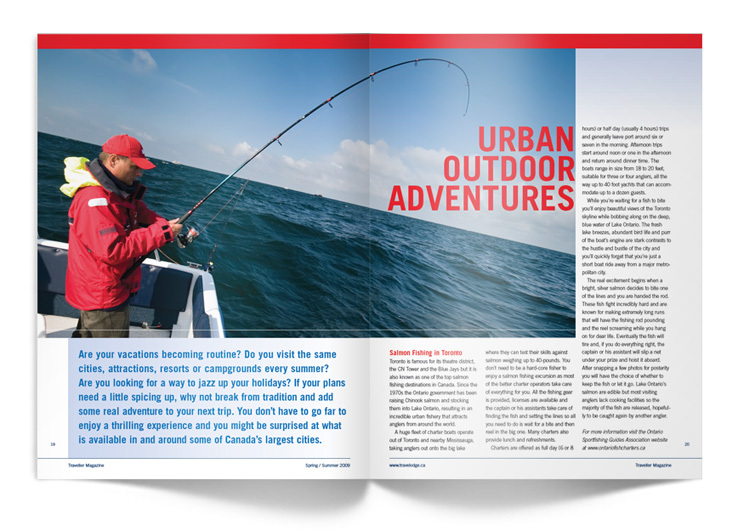 With favourable odds of winning, a series of radio spots were produced to illustrate this rewarding promotion that ultimately increased customer loyalty. 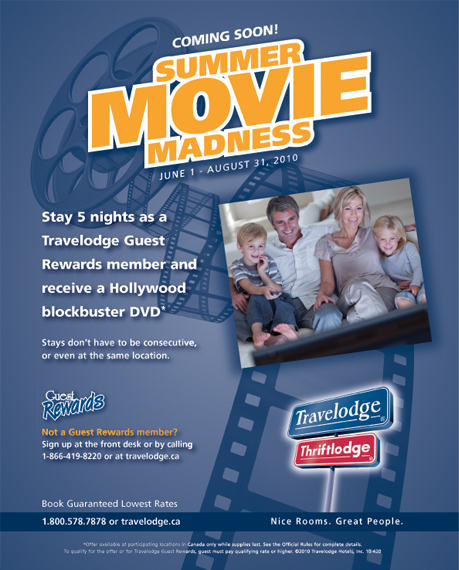 This seasonal promotion offered guests, with multiple stays, an opportunity to collect a series of new DVD movie releases. 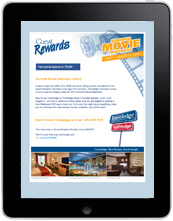 Instant redemption was carried out at the property level, across all locations in Canada. 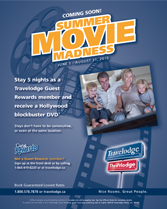 This successful promotion has been held for two consecutive years, increasing Travelodge Guest Rewards membership each year.